A bottle of wine is a popular gift choice for a wine drinker (female, male or couples) but can be difficult to wrap. 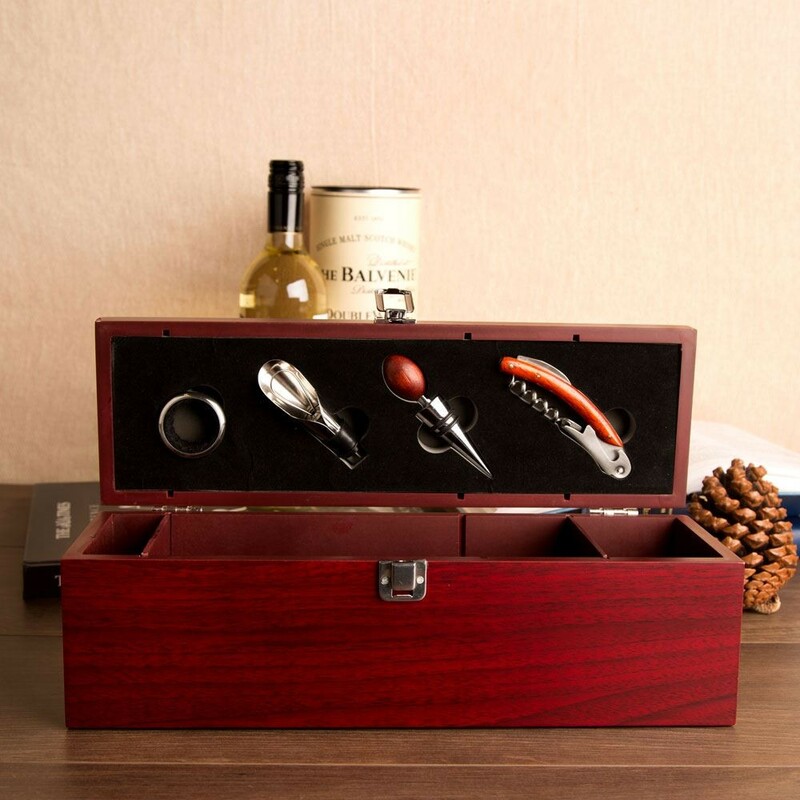 This wine box is an elegant way to present wine as a gift. It includes a hidden selection of wine tools in the box lid to help you open and serve the perfect glass of wine. 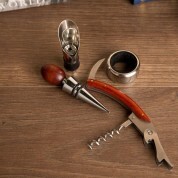 This set includes a waiter's friend corkscrew with bottle opener and foil cutter, a wine pourer, a wine collar to catch any drops and a wine stopper to keep your wine fresh. 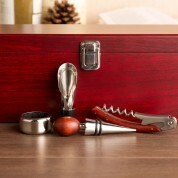 The wine tools gift set is beautifully presented in a brown wooden box. It would look lovely presented on a work surface or in a glass cabinet. Why not add their chosen bottle of wine inside this box to complete the gift.